Screw kit, data plates w/special sheet metal nuts (Willys). 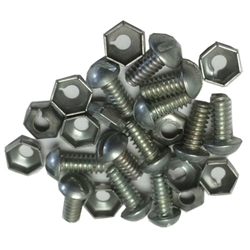 This kit includes NOS cad plated screw and Pal nuts. The pal nuts we can source are a little small than the originals.